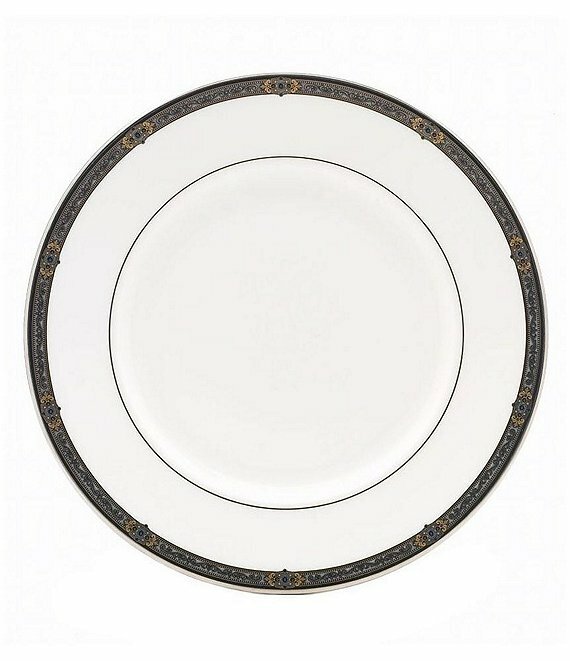 This lovely vintage-feel bone china dinner plate from Lenox has an intricate design along the edge. Approx. 10.75". Dishwasher safe. Made in USA.